We would recommend a V620 over V610 for most users. V620 is just twice thicker, still looks aestetically pleasing and allows you to film for over 3 hours - which is what most events such as birthdays or stage performances would require. 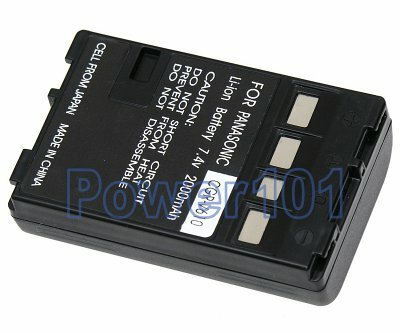 This battery is compatible with Panasonic NV-VZ1, NV-VX37 NV-RX14, NV-RZ10, NV-VX27, NV-VX47 and a few other camcorders. Please check with our camcorder battery finder which battery you need. 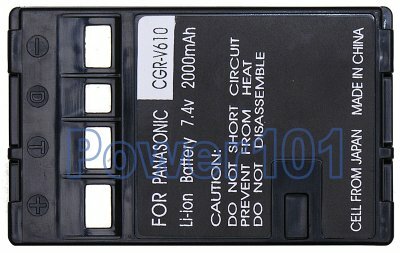 These batteries can be charged by any standard chargers compatible with V610 or V620 batteries. Such as the charger that came with your camcorder. They can also be charged on the camcorder.